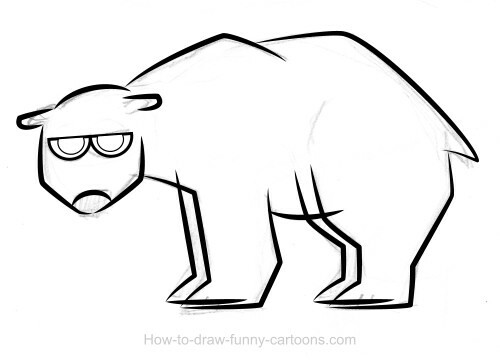 Polar bear drawings! 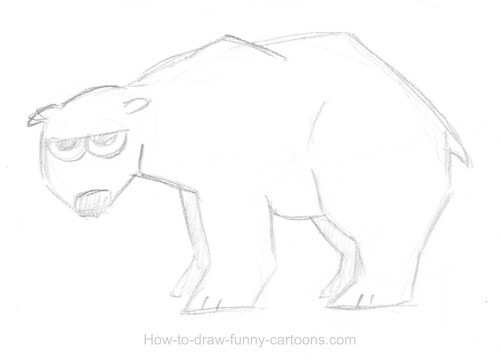 That's the subject of this new drawing tutorial. This ferocious animal who only lives in cold condition might be quite difficult to sketch for someone with little drawing experience. 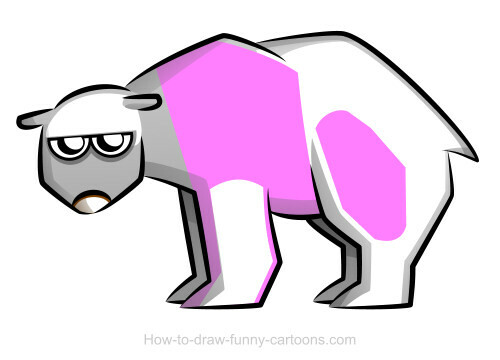 Indeed, the anatomy of the polar bear does have a few tricky elements that are hard to reproduce. However, adding colors and shadows might be a little bit easier since this animal is mostly white. First, we need to sketch our cartoon friend. For this illustration, I intentionally created straight lines (instead of nice curved lines) to give more attitude to the cartoon character. Once finished, scan your image (or take a picture) and open your vector application. Use the drawing tool (or pencil tool) to create the outlines of the polar bear. Create plain shapes behind the outlines and add some colors. I know that polar bears are white, but if we want to create special effects like shadows and reflections, we need a colored area so that these effects will be visible. Pick up the gradient tool and add a simple effect by making the bottom of the illustration darker and the top lighter. To create more shadows, we need to add new shapes on places that are not affected by the light source. Make sure that these new elements are covered by the outlines. Select the transparency tool and partially hide the shapes created in the previous step. The polar bear looks nice, but we still need to create reflection to give more depth to the character. Create additional shapes like shown above and color them in white. Those colored in pink must be white too. I used another color so that you could see them properly. 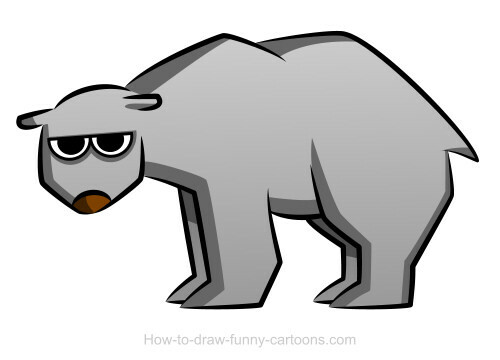 Once again, pick up the transparency tool and hide these shapes to create white areas on top of the cartoon character. I also changed the original colors since the grey shapes were a little bit too visible.